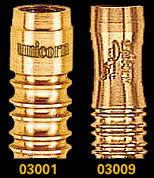 Available for the first time, the precise specification of barrels used by Phil Taylor. 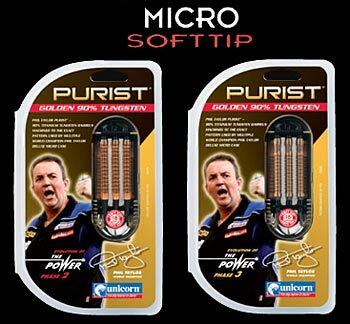 Supplied as barrels only in a metallic Micro case, Phil Taylor Purist Gold features additional grooves or a new 'scallop' to the back of the barrels for extra grip. Please note that the extra grooves mean that these barrels do not carry Phil's signature, available on Phil's Golden Unicorn and World Champion series darts. 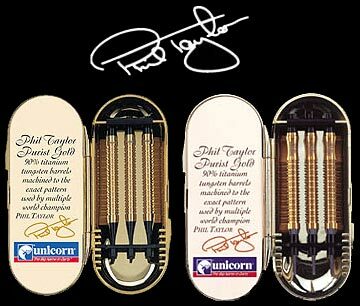 Phil Taylor Purist darts are nominal 18g. All up weight will depend upon player configuration of flight and shaft.